As it turns out, "Planet of the Apes" wasn't totally far-fetched. Unlikely, but not completely far-fetched. A village in China has been overrun with hundreds of macaque monkeys after they were brought in to increase tourism. In 2003, the Village of Xianfeng in China's Sichuan Province wanted to increase the number of visitors. They believed the best way to do this was to introduce 73 monkeys to the area. Needless to say, the attempt failed, and the monkeys have infested the village. In the last 13 years, the main investor in the project passed away. 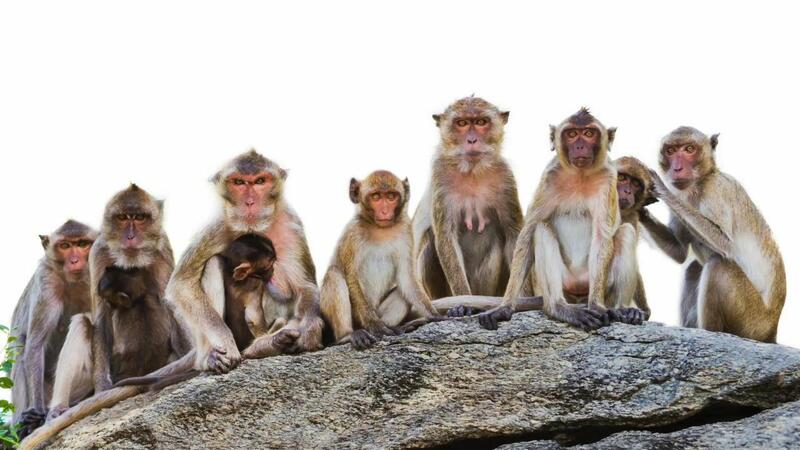 The company fell under, and the macaque population jumped up to 600. Locals were hoping the monkeys would disappear without the aid of the initiative's investors, but the macaques are loving their new home. Reports say these pesky guys are wreaking havoc on the village. They eat crops, damage homes and even bite the visitors. Another problem the village is facing is the macaques are a Class 2 national protected species, which means animal control can't simply intervene to solve the problem. While experts were brought in to remedy the situation, they must realize these monkeys have taken over a village and won't give up without a fight. To win, they'll most likely need bananas... and a lot of them.